Global Garage Door Service is proud to offer expert garage door design and installation. We are also well versed in garage door repair and maintenance, ensuring our client's doors is in tip top condition. 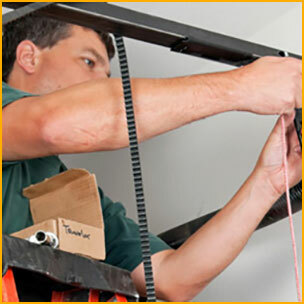 In Jacksonville, FL, our technicians are standing by 24/7, ready to answer your call for garage door service. 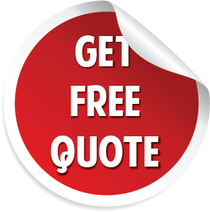 Once dispatched, your service professional will arrive expeditiously in our service vehicle and get right to work to resolve your problem and keep your garage doors in perfect working order. One of the most costly things a homeowner or business can do is try to service their own garage doors without having the skill set needed to do so properly. This effort to save money invariably ends up costing more in the long run as damaged parts must be replaced and service professionals are called in to correct the problem. Global Garage Door Service is all too familiar with this scenario. Garage door systems are sensitive and can be dangerous as torsion is used to counterbalance them. A system under pressure must be serviced by skilled, experienced professionals to avoid damage, injury and loss of life. With springs under immense pressure, loosening the wrong screw is all that's needed to cause a serious accident or tragedy. 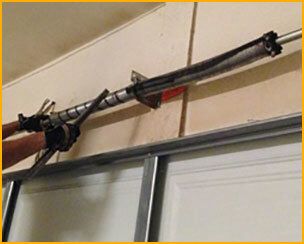 Don't waste your time and effort trying to handle a garage door project alone. Call us, the professionals, and get your garage doors installed quickly, efficiently and properly, saving you time and money while protection you from disaster. Global Garage Door Service has your back in Jacksonville, so give us a call to ensure your safety when you need your garage doors serviced or installed. Your garage doors are more than doors, they are an intricately built system and each component relies on the proper installation and operation of the next. That's why the experts at Global Garage Door Service recommend regular maintenance to ensure your garage doors are working properly, replacing worn parts before they fail and create an emergency. Our highly skilled service professionals are both extensively trained and experienced, making them the best team in the area to give your garage doors their bi-annual checkup. During your checkup, our technicians painstakingly inspect each component of your garage door system from springs to pulleys, making sure everything is great condition and making repair recommendations when needed. Upon your approval, our service professionals will replace worn parts to keep you and your family or business safe and secure. If you have ever looked at how a garage door operates, then you understand the door has strong wheels that roll along a metal track which are kept in line with heavy duty springs and cables. Over time, this track and wheel system can become worn. Sometimes the doors come off the track and simply need to be re-installed. Once the door is off track, it fails to function predictably and although the door may still lift, it is most probably askew and a danger to you and your family or your business, in which case an askew door is also a liability. Should the garage door end up falling off track completely, it could cause injury to your employees or patrons. Often the cause of doors coming off track are broken cables and sprung springs. It isn't uncommon for wear and tear to cause these mechanisms to fail, or for them to become damaged by drivers misjudging their approach or exit. Additionally, the environment can also cause these elements to fail, especially in coastal environs where the sea air causes salt to accelerate rust and deterioration of metals that are longer wearing in the Midwest. When the cables wear out while the door is being opened or closed, it further complicates the problem, sometimes slamming to the ground or refusing to move at all. The electric eye detects objects or people that may be in the path of the door and stops the door from opening or closing to prevent accidents when it detects something in the path. When electric eyes fail, they need to be dealt with immediately and at Global Garage Door Service, we understand the urgency and dispatch one of our service professionals immediately. It doesn't take long for your door to be put right again, functioning like brand new, rolling smoothly up and down the track.